Part 10 descibes the process of capturing an image from a reference computer. Note that the computer must not be a domain member or the process fails. Choose the boot image - remember that we have already added the network card drivers and distributed to the Distribution Point so we should be confident. We also enabled Command Support in case of a problem. 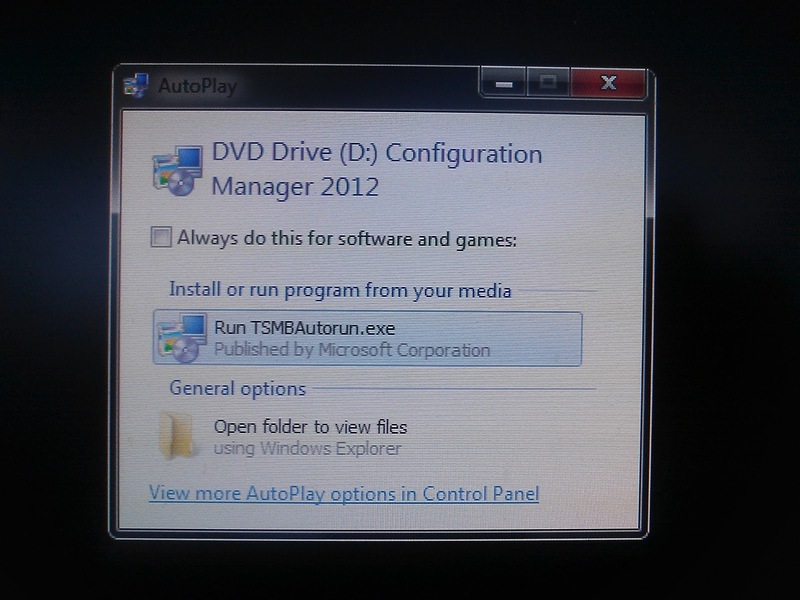 Click Run TSMBAutorun. 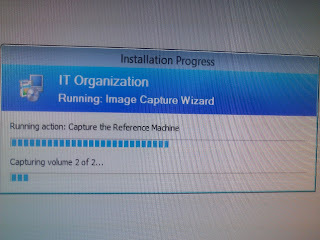 Image Capture Wizard starts. Click Finish. 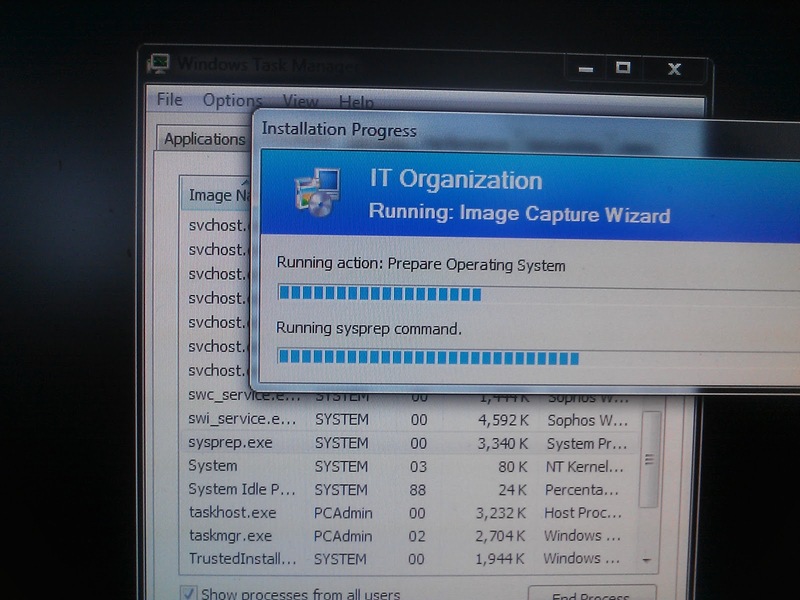 Image capture starts the process by carrying out a sysprep of the computer. Note sysprep.exe in Task Manager. When sysprep has completed the computer reboots into Windows PE. 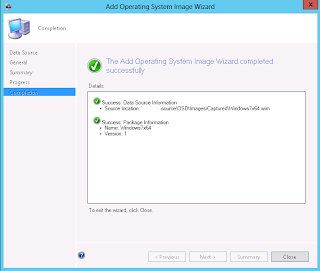 Wizard has completed and wim file is now available. Restart the computer which enters the Windows Out of Box experience. When you go to capture the image, it says that it cannot be a part of a domain. True? By the way, this is an EXCELLENT series. I haven't been able to find anything like this, which is what I've needed. Much thanks! That's right. Sysprep will fail if the computer is domain-joined. Obviously, if the computer is domain-joined you can remove it from the domain before you capture it. I don't like doing that. You have to tidy up the domain profiles properly or you will have problems later on. Odd, I've been sysprepping domain joined computers for years and nary a problem. When i capture the media and run the TSMBAUTORUN.EXE on Windows 7 Enterprise N, nothing happens at all and therefore cant capture the reference image. whats can be the issue? 4) Run the \SMS\BIN\I386\TSMBAutorun.exe again. The Image Capture Wizard should now launch for Windows 7 64 bit PC. No bother. Glad it worked out for you. First thanks for the guides as they are clear and to the point compared to others I have reviewed. However I am having an issue, I am able to launch the image capture process, however when it the machine does the first restart into the PE environment - when it gets to network settings - the system just restarts and does not capture the image correctly. I have injected the NIC driver into the x64 boot image as instructed and still get the problem. Using Dell Vostro 640 and cannot seem to get over this hurdle. Running on VM Ware workstation 9.0. Don't waste time with this. You can capture your image on any hardware. It doesn't matter. It's hardware agnostic. I actually usually capture the image using a VM. 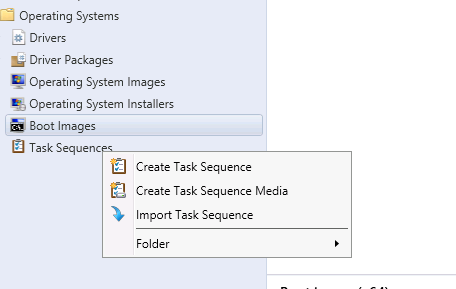 You will then create an OSD task sequence and it is at this point that you can inject the specific drivers for your required models. You run a WMI query to detect the model and only apply the relevant drivers. See Part 11 in the guide. Issue that I am experiencing is that when I am trying to capture the image - it fails on the first reboot during the capture process. I attempted this first without injecting the network drivers and thought this could be the issue so added in the network drivers in but am still experiencing this issue. I have captured the a base machine image using ImageX and when try to deploy this to a target machine - still get the same issue. Any help would be appreciated. Did you update the boot images on the DP when you added the drivers? Your starting point should be to test network connectivity. Try again but this time press F8 before the computer restarts (assuming you have enabled command support on your boot images). Type ipconfig to see if you have an IP address. Error: The wizard detected the following problems when updating the boot image. Have a look in the SMSProv.log. There should be more specific information. I try to select the boot image and distribution point after clicking browse but the distribution point selection window is empty and I cannot continue. I am unsure of where it is things are wrong. Also all of my Application packages have a size of 0.00 MB. Do you have a Distribution Point? Have a look at your Site System Roles - is a Distribution Point listed? Yes I have a DP listed in Administration->Distribution Points. Also in Administration->Site Configuration->Servers and Site System Roles. You dont have read/write permissions to the specified path. But i have tried 3 methods (CD/USB/HDD) but the same problem cames. 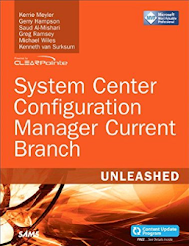 You have to be on SCCM server to do this, not from a remote management console. 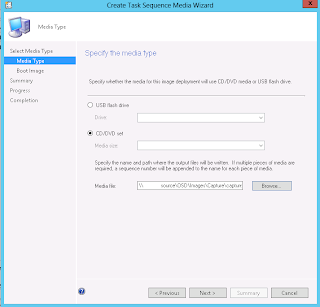 thanks for the great tutorial for installing SCCM, have problem when i want to captureMedia. please can you help me out? It looks like you Imported a PKI certificate during the process. Are you using https internally? If not then you should choose to "Create a self-signed media certificate". If you are using https then it looks like you have imported an incorrect certificate. i have installed like you did discribe the installation nothing else. 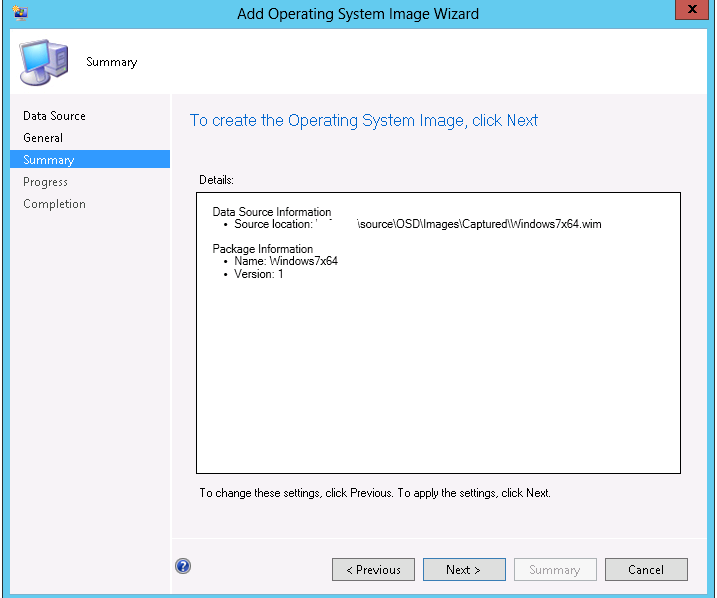 Use the console on the ConfigMgr server for this and choose a destination on the server. Then your permissions should be OK. Thanks a lt for this blog. How can i create task (not from media) for only capture, no need bulding windows (install), just capture ref compture win7 x64 ? 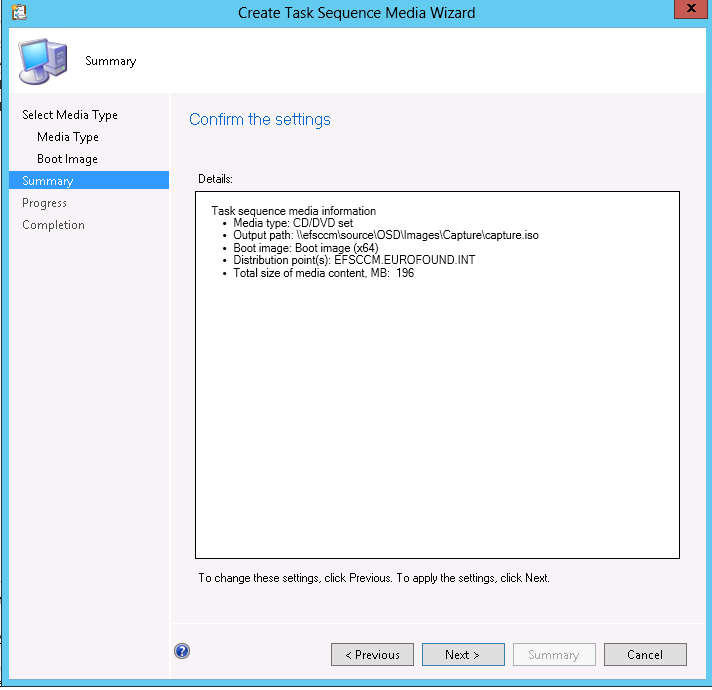 If you wish you can create a "Capture only" task sequence. Any reason why you don't use Capture media - it's more straightforward to implement. Just to have everything automated, when using Multicast option, choice will be on screen no need using cd/dvd ! How can i create capture only ? I can't skip Build operation ! Windows filed to because a critical driver missing or corrupted. I downloaded driver(iaStorA.sys) from dell save it into location but no luck. also changed SCSI controller to LSI logic parallel but no luck..
Can you please help me i need to capture image and deploy it to my production as soon as possible.. This has previously come up on the forums. I am in the process of Capturing the image from reference computer. In this case is a x32 computer. 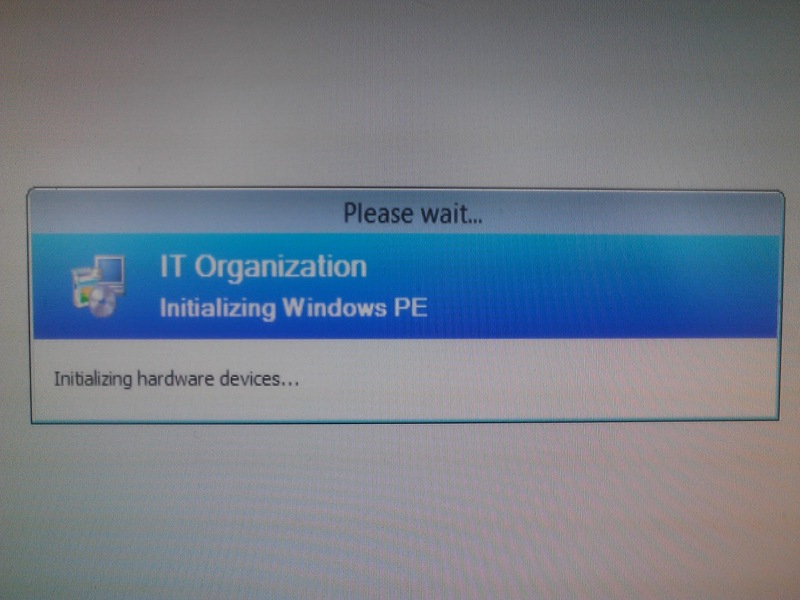 During the process of preparing the pc the installation of windows 7 SP 1 finished without any problem. Then I ran the Image Capture wizards and the first phase was completed correctly. And it shows two more parameters. Do you have any idea why is this happening? This kind of generic hardware issue is very difficult to troubleshoot. I eliminate this kind of problem by only using Virtual Machines as reference PCs. mmmmm, ok.It's a good Idea. I will implement it!! I too have been having the same issue but on a virtual machine (VirtualBox) it seems to be an issue with the fact that SCCM is on Server 2012 64bit (where I am ) and therefore basically windows 8 whilst the image (and vBox) is on windows 7 32 bit . Also my host computer is 64 bit. Is there any way I could run the iso that it has created so far on another machine and start the capture again from there. Yes, you can use this ISO on multiple computers. I worked it out the problem was that my hardware virtualization (VT-x) was disabled on this new i5 PC I have only got recently. I would have assumed that as I had been using virtualbox since I got the PC then it was Ok but it just seemed to rear up as a problem when I used server 2012 to try and connect to the virtualbox (ie through SCCM during the image capture). This might be useful for others in the same situation as it took me all day to find a solution. Hi Gerry, I have a problem when I deployt my task sequence, only when I capture an image of reference whit capture media of SCCM, but when I replaced whit install.wim of the image of the windows 8 this work well.... WHAT DO YOU THINK ??? You haven't given me enough information to be able to help you. What have you done? What is the problem? What are the errors you get? So this is all done with the boot media. 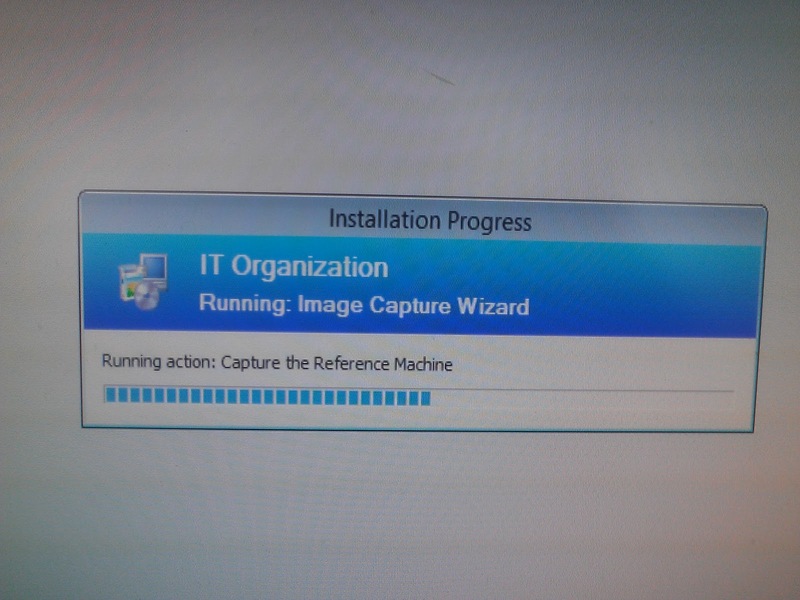 What happened to the PXE boot option and selecting a capture image that WDS use to do? Is that no longer available? 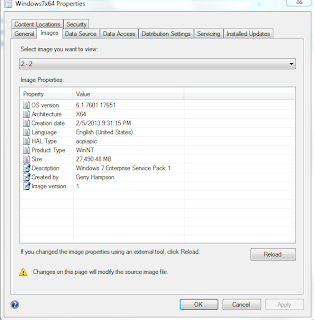 This is just one way to capture an image with ConfigMgr and can be used if you already have a reference computer - with applications installed (thick image). It has the disadvantage that it does not support COPYPROFILE = TRUE. 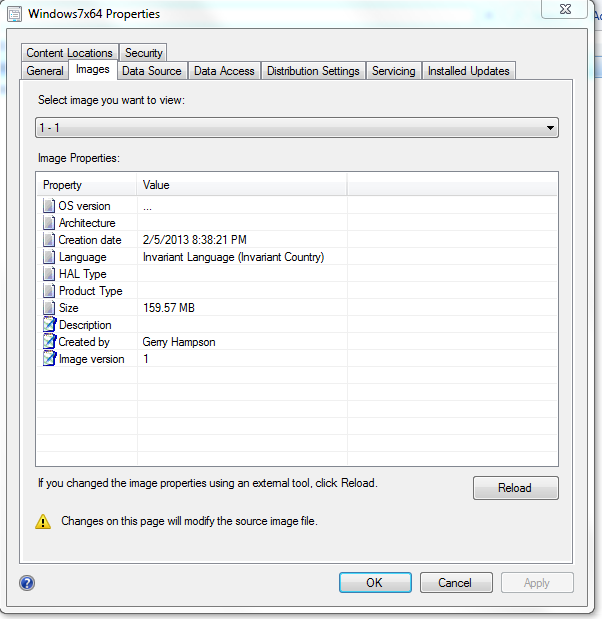 If you don't have a reference computer you can create your image using a Build and Capture task sequence. Hey Gerry. First off your guide is fantastic. If you ever put it together in a nice PDF I would pay for it to have as a reference document. I am having some trouble getting the Image Capture to complete. I'm trying to make a copy of a Windows 7 VM. I can get it to run through the initial setup, do sysprep and restart the PC. It will boot into Windows PE and start the Image Capture Wizard. It will be doing "Running action: Capture the Reference Machine" and "Scanning Volume 1 of 1". It will do this for about 10 minutes, the bars never moving, and then the PC restarts. The PC restarts to the OOBE fine. And there IS a WIM image in the network share, however it's not complete. I have done it 3 times now and gotten 3 different sized files, between 600MB and 900MB. 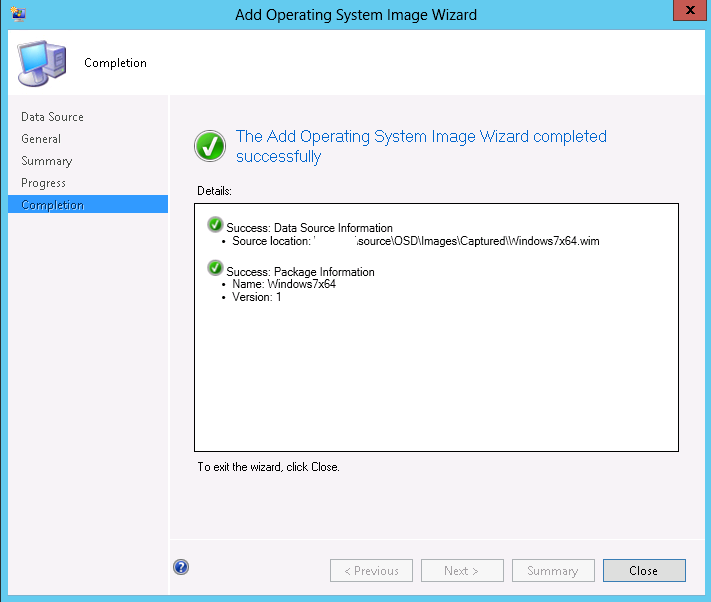 If I try to load the WIM into SCCM it says it is invalid. 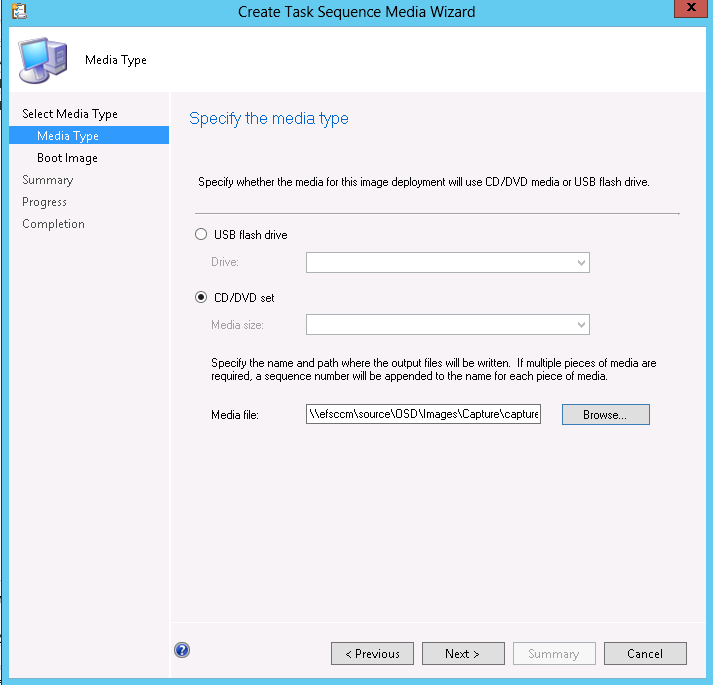 At first I was following instructions online for what to do if SCCM says that (get a new WADK), but after I got the second different image size I realized the image is probably really invalid. I did just update the boot image again after I installed the new WADK and created a new boot image. 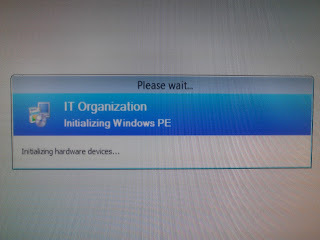 I am also redoing the VHD that the Windows 7 is running. It was set as dynamically expanding so I am changing it to a fixed to see if that helps. That's a weird problem that I haven't seen. Your Windows 7 image (vanilla) should be about 4GB. I would re-build the VM. Let it build normally so that you have two partitions. That is the default so you must have customized the first one somehow. I'm not sure why you would want to do this. You need to capture an image file. I always do it with MDT - it's easy. Based on the training i'm watching it says that i should be able to deploy the OS as well as programs and updates without having to create an image of a machine that is already setup. My question is, why am i not able to do this even though Microsoft says i can? 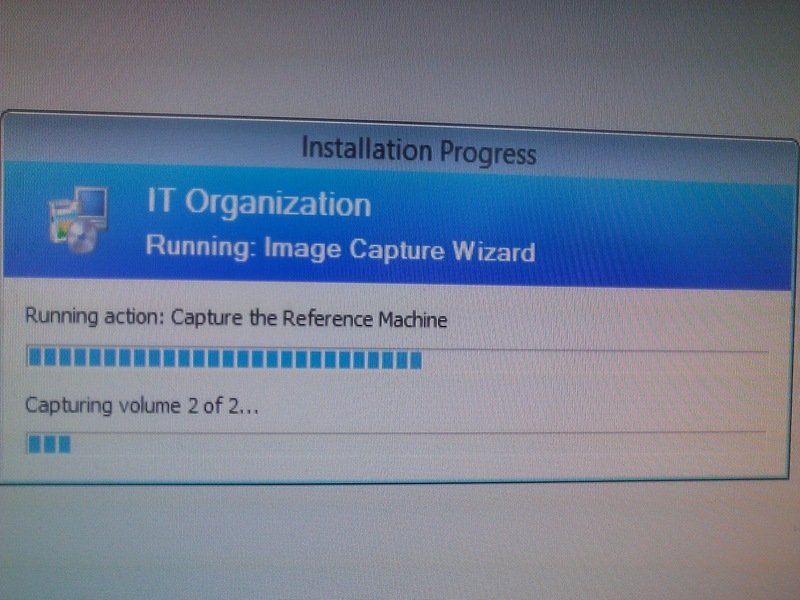 I have tried deploying software and updates to a captured image and it didnt reflect on the new machine. Can you shed some light on my darkness for me? I can't help you until you tell me exactly what you've done. You'll really have to provide more information. No, that's no problem. However you still should create two partitions in your task sequence. Just don't apply an image file to the smaller partition. You will need this partition if you decide to use BitLocker. I've just captured an image and have noticed that I only have the 1-1 option. On the other images I have captured I have 1-1 and 2-2. I've captured in the same way but can't work out why I no longer have the 2-2 option. Deployments using this image are failing. When compared to working tasks the only difference is that one has apply data image as 1-1 and apply OS as 2-2. The failing image can only use 1-1 for both. Any suggestions as to why I'm not getting the 2-2 option on this capture or a way of getting the task to work with just 1-1? By default, when you built a Windows 7 computer, a 100MB System partition is created (as well as the OS partition). 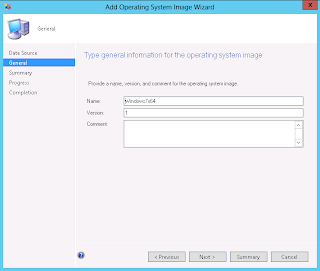 When you capture the computer both partitions are captured and appear as two images when you import to ConfigMgr. Have a look at your reference computer. Has someone deleted this smaller partition? I checked the PC and there is no 100MB partition. We're using a virtual PC (VMware Player) to create the image and during setup we're not given the usual formatting options where the partition is normally created so I assume this is the issue. I can't see any way of creating another partition within the software so maybe will have to go back to using a physical PC. The 1-1 image is approx. 33GB. You can still use this image. 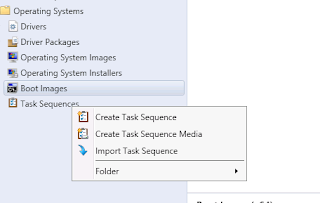 In your task sequence create two partitions as normal. Make the system partition 300MB (BOOT) and the second 100% of the remaining disk space (OS). Apply 1-1 to the OS partition and nothing to the BOOT partition. Test it. It should work. Hi, I am having an issue with OSD on Dell E6440 Model. Task sequence went fine till installation of drivers. After the installation of drivers, it is rebooting with an error "iastor.sys status 0xc0000359"
iastor.sys refers to an Intel Storage Controller driver. You need to review how this driver is installed. -is it in a driver package? - is it the correct driver? In the TSMBAutoRun.log when I start up the Capture process. Does this mean it can not determine the CPU type? I think you are missing some text from your comment.
! [LOG[Unknown system architecture 0]LOG]!><time=13:0:0 date=0-1-1970 component="TSMBautorun" context="" type="1"
That's usually what it means and happens if you are capturing using a physical device. Don't do that. Use a virtual machine for this and you don't get the same strange problems. How would I get the Image of the 2.5 disk and make image of it to put in to SCCM? I'm sorry. I don't understand this question. Sorry, I am getting the error message as above - Unknown System Architecture in the TSMBAuto.log file. 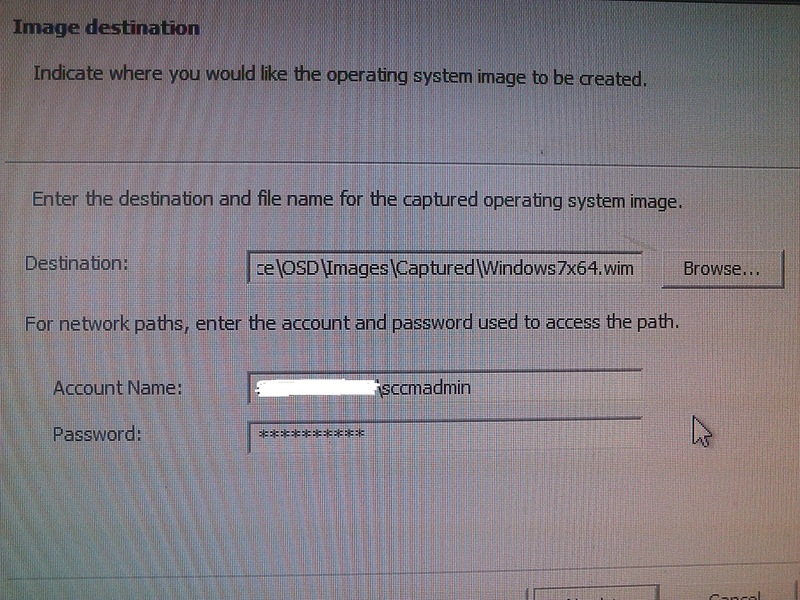 Would this be from the Capture process of SCCM 2012, not knowing the Motherboard of the workstation? Also what other means can I use to capture the workstation, would DISM Command Line tool work as well as the SCCM 2012 Capture method? 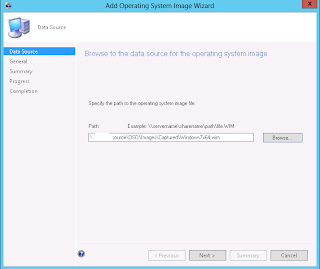 Use a VM to capture your images. Then you don't get problems like this. When I Create an image and open the properties, I go to the Images Tab and in the Select image you want to view, I only see 1 - 1, it does´t appears 2 - 2. Do you have any idea why it happens? When you install Windows 7/8 using the default settings two partitions are created (100MB system partition, the rest of the disk for the OS). This is normal. Have a look at the computer that you captured - is the system partition missing? That's why you only have 1-1. It's no big deal though. 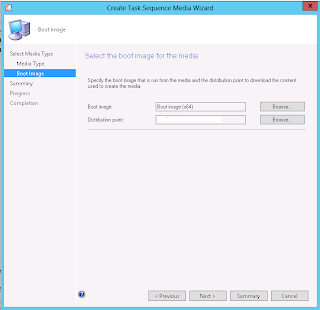 Your steps can be the same, except, you will not apply an image to the smaller partition in your task sequence. e media which is available in DVD. 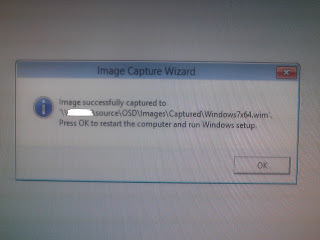 actually after sysprep it reboots the computer and then all it is blank but computer still running and i waited for long time but nothing happened then tried again but now gives me an error that task squence capture image can not continue with error code 0x00004005. Reboot the system and try to run sysprep again. I have the same issue, error 0x00004005 when I try to capture an image of computer with W10. This solution does not work for me. 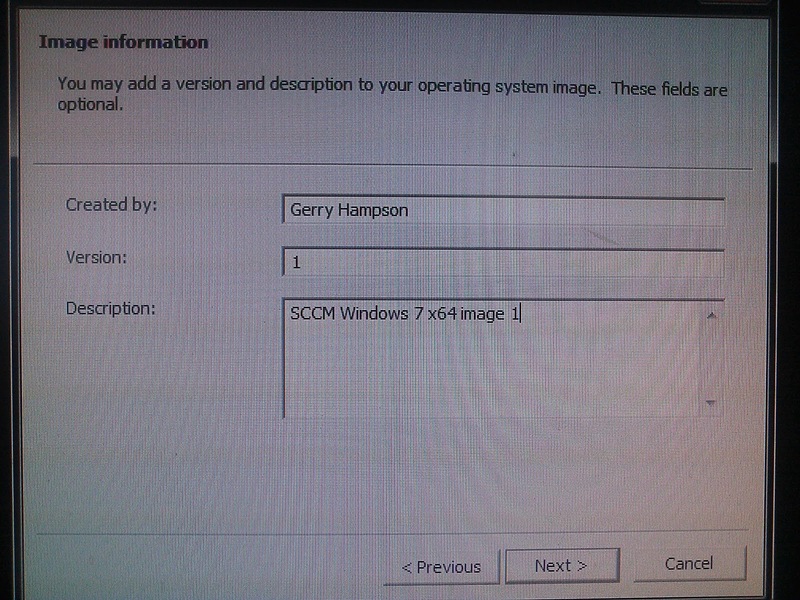 Sorry Gerry, I have SCCM 1610 and Windows 10 Enterprise x64. 0x00004005 is a generic error and is not useful for troubleshooting. Have a look at the SMSTS.log file for errors. We have an extra server in our server room. I was going to ask my manager to let me use it to install server 2012 R2 and enable Hyper-v to build reference vms for desktops and servers. Could you give me a pointer on some of the benefits of using a virtual machine vs a physical computer. 1. 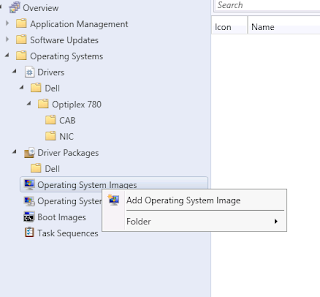 Driver issues are one of the most common problems in OSD. Therefore you try to avoid installing any drivers in your reference image. You do this by using a VM. 2. It's more administratively friendly to use a VM. You can connect to it remotely, insert an ISO file remotely and take snapshots. You don't need a server for this. On a customer site I would normally just use a Windows 8.1 workstation. 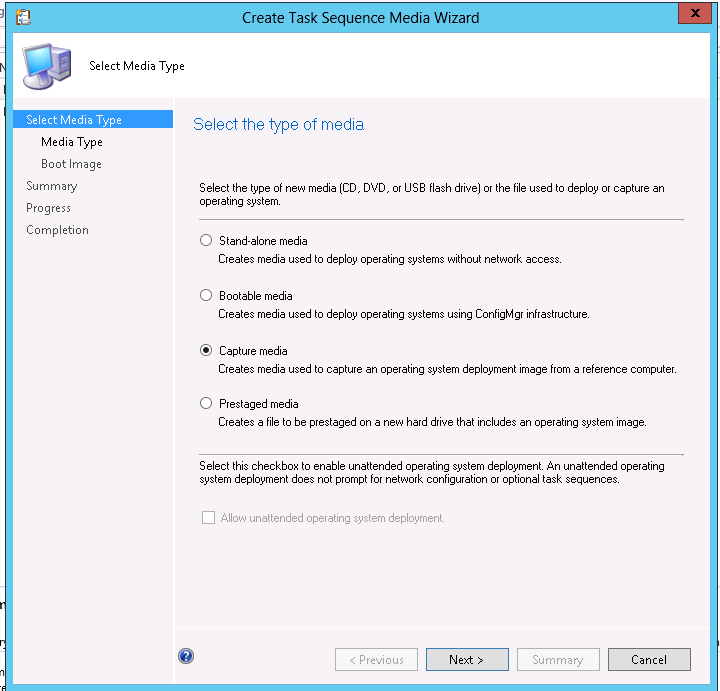 Also, I prefer to use an MDT Lite Touch Build & Capture task sequence for capturing my images. You can read about this elsewhere on my blog. Awesome thank you for the quick response! I will try the light touch B&C. As far as using windows 8.1 non of our desktops have any virtualization compatible hardware / firmware. But I do have a laptop which I can install windows 8.1 and enable the hyper-V role and use that to build images. I am I correct in thinking I can do it this way plus install MDT on the laptop and pretty much use it as my workbench and then copy the finished image to my sccm server? That's right Phil. That's how I do it. I have little issue here, i was able to run TSMBAAutorun.exe but i ran Sysprep .exe there was 2 options; either restart or shutdown, I tried both but nothing happened on both stage. Can you please suggest me am i doing something wrong here?. You shouldn't run sysprep.exe manually. 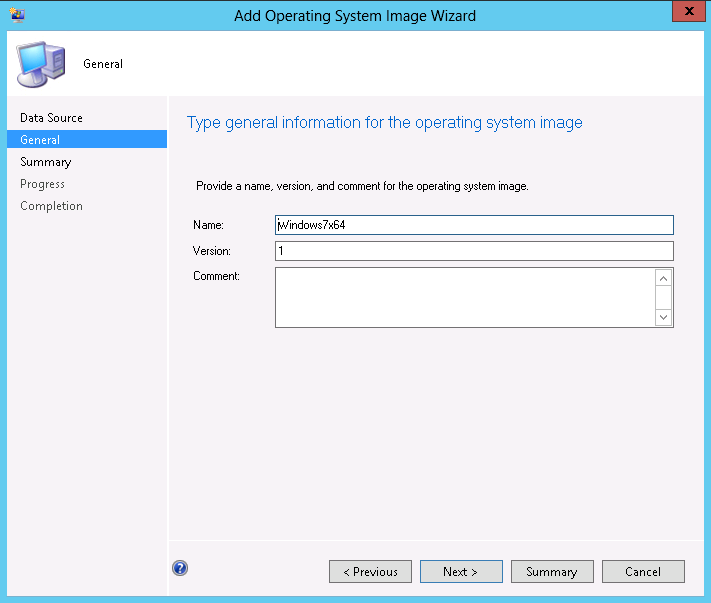 ConfigMgr capture does that for you automatically and controls the process. Once the TSMBAAutorun.exe is finished how longer does it will take for sysprep to start automatically..
so, i should not be running it manually. If i ran it already does it cause any problem or do i need to follow any other process now to make it successful. It could take 30 seconds or so before sysprep.exe starts. If you have been manually running sysprep then it would be cleaner and better for you to start again. But sysprep didn't start at all. I waited for a while nothing is happening. Is there something wronng on my step? Hi Gerry. Great blog, thx. My question, or rather problem, is this: I've tested a few OS deployments, saving User data locally and it's always worked. One of our Techs created a new image for Staff users and I've uploaded the wim and created a Task Sequence, etc... The TS steps are the same I used for the Student image. Now, even though it says it completes successfully, no user data is restored to the PC. When browsing the image, I see that it only has 1-1, there's no 2-2 like the ones I created. I also notice that there are no SMTS logs on the root of C.
Is the lack of both partitions in his image causing an overwriting of the data? Any advice would help. No, this is not the reason for the USMT failure. You can have one partition only with no difficulty. You should analyse the scanstate.log and loadstate.log files. I can't post the log information here, too long. Loadstate is never created, scanstate looks ok, SMTS is several hours off, even though I verified the time in BIOS. I notice that restart the reference computer which DOES NOT enters the Windows Out of Box after capture image , it went to win7 screen. There are no erroes at all, when I used DVD media to boot and capture image, it even says sysprep on the screen. and capture image complete. 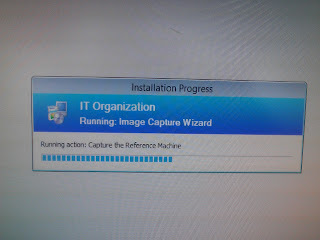 I have gotten to the point of capturing images using sccm. 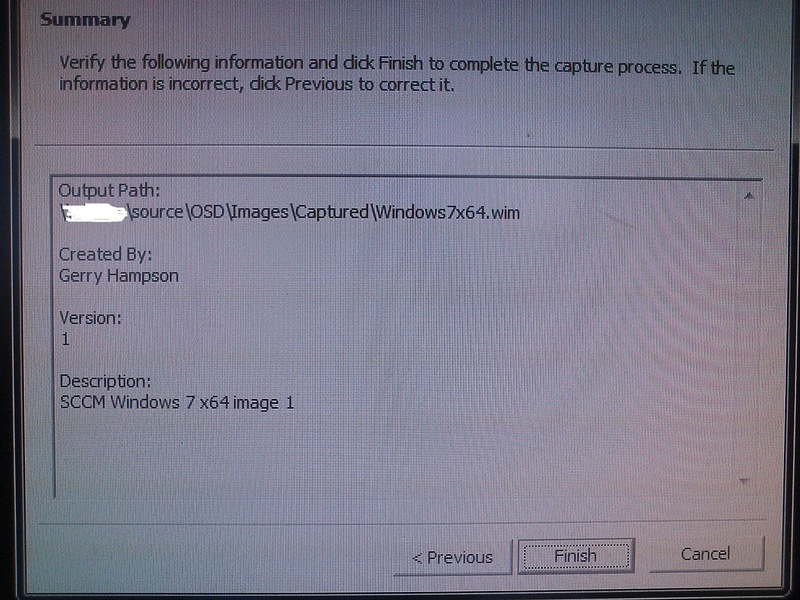 I have the capture media and the capture is running, but it errors out constantly on error 0x800704CF. It seems from the error like the reference image machine is having trouble saving an image to my shared folder. I don't know how to open up the folder any more than I already am though. I have full access enabled for the username specified in the capture process. I also, just for arguments sake, gave full access to "everyone" on that share, but it still errors out. The instructions seem to indicate that I should have the reference image machine off the domain, but that seems like it could be a problem here. Is that the issue? I've tried every other combination of login credentials I can think of. I can't grant share rights to the ref image machine because it is not on the domain. That seems to be your problem all right Scott. 0x800704CF = The network location cannot be reached. Don't join the reference computer to the domain. You shouldn't or shouldn't have to. 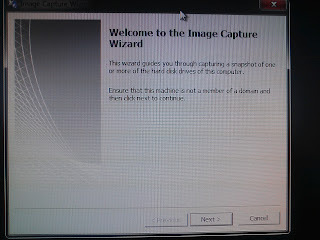 Before I start the Capture wizard I always browse to the location using Windows Explorer to test my credentials. You normally find problems at that point. It's easier than looking in log files. Remember your reference computer is not in the domain so you'll have to use FQDN of the location. Thanks for the reply Gerry! It's good to know I'm on the right track. My credentials work from explorer, but even after using them I notice that when I start the capture and have to put in the FQDN and file name of the image, it is asking me for credentials again so that I can browse to the folder where I want the image to be saved. Then I also enter the credentials (third time now) into the capture software so that it can use that username and password on reboot. Does this sound right? I'm running it again now, but this is identical to what I've done it the past when it failed. Assuming my password was entered well into the capture fields. When I try to access the share through explorer there is a pretty lengthy pause, perhasps 20-30 seconds before it asks for credentials. Is the capture process timing out before the target finally asks for the credentials? Didn't seem to matter what I did with credentials or the FQDN of the storage target the capture process couldn't see it or get there. I tried it once to the local drive and it worked, but still failed to the network location. Pre-capture windows could see the network location just fine, but during capture it would fail to find it. Finally I realized that the capture process reboots and is not operating in windows any longer and that it may have been a driver lacking for the vm NIC that I was using. Changed the NIC on the VM from virtio to intel and away it went. Thank you for the guidline, I have a question, after capturing the Image.wim size is almost 8.03 GB, how to reduce the size? do i need to delete the windows updates before capturing? 8GB is not overly excessive Kassem. No, I wouldn't remove the updates. They will have to be installed post-deployment if you do. How do i get pass this?? I just create the VM with 60 GB and Install Windows 7 Sp1 x64 but when i capturing this take long hours and only 2GB is in the network share? So can i add the 2nd Virtual disk and capture to that? This is not normal. It sounds like you have a networking problem. You really should try to fix that. Then this problem will go away. 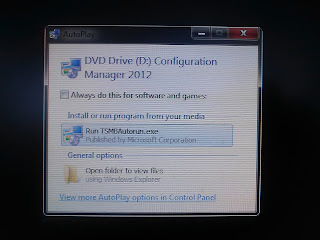 I am trying to capture 64 bit windows 10 enterprise, I created acd/dvd TS media and extracted it in a pendrive and then rum the TSMBAutorun.exe from \SMS\BIN\I386 . That's absolutely normal. When you sysprep your reference computer it becomes generalised and enters the Out of Box experience. It doesn't matter. Turn it off. You're just interested in the captured image (WIM file). 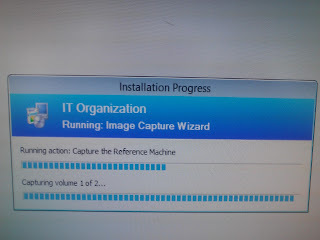 First off It is great tutorial.I am facing challenges while capturing Windows 10 as reference image.I have checked that the reference computer is in workgroup.And i am giving the destination path to the same computer where i am going to capture the reference computer.The error what i am facing is task sequence:image capture wizard has failed with error code 0x00004005.Kindly help me out to fix this issue. This is often a sysprep error and can be caused when you sysprep a computer too many times. It's a good idea to use a VM for image testing. You can then snapshot the VM before you sysprep and revert if you need to. will this also be true in Windows server 2003? I don't really understand the question. Sorry Neil. 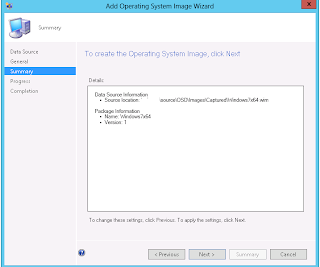 what happens to the Windows Update history when the image capturing process starts sysprep? 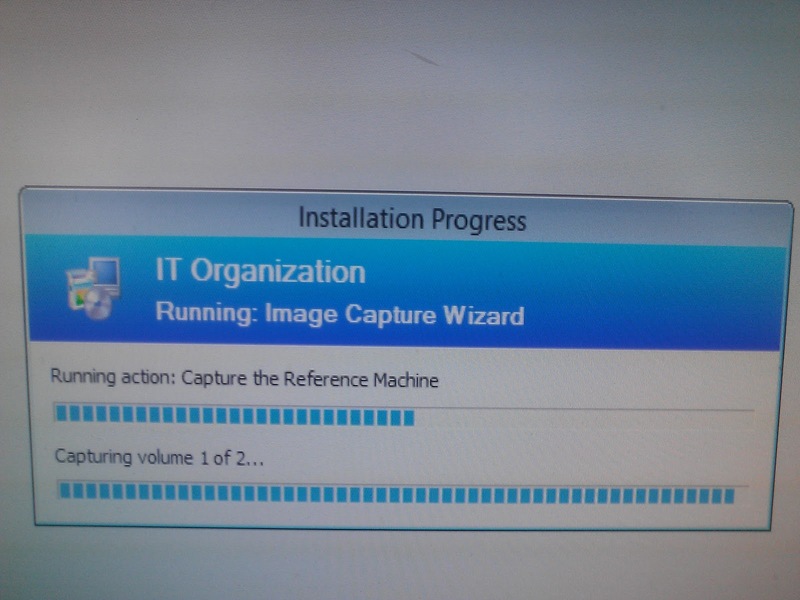 I installed Windows 7 with all drivers and updates but when I install a system from the captured image it wants to reinstall more than 200 updates (which ends up in a failure because they are already there). Do I have to capture a Windows 7 installation without any updates installed? Sysprep has no effect on the installed updates. I've never seen this. If the updates are installed, normally they don't try again. Two questions. 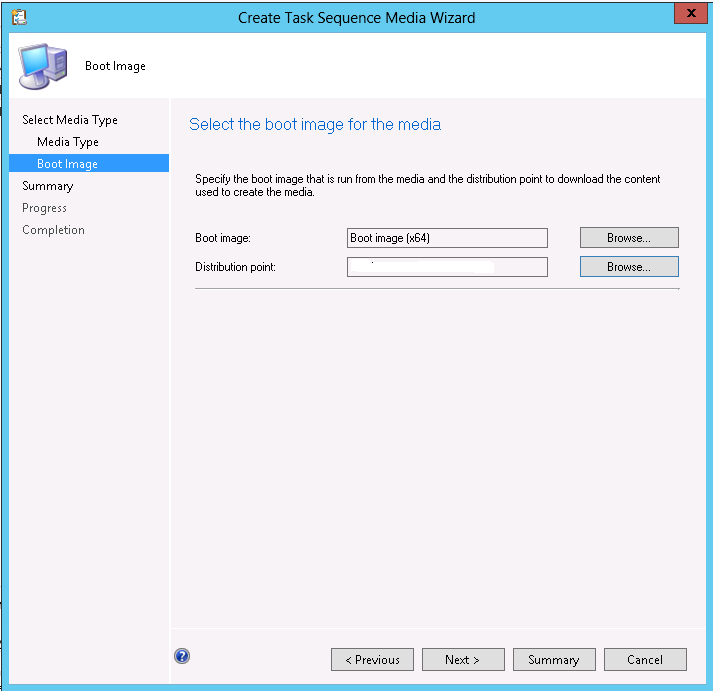 Will the capture media capture multiple partitions? And can we somehow include an unattend file for Sysprep? I'm having difficulties deploying. First I had a TFTP issue, by doing everything all over again I received a new issue. Is there a way to put an attachement in my comment so you can see it? Unfortunately not. 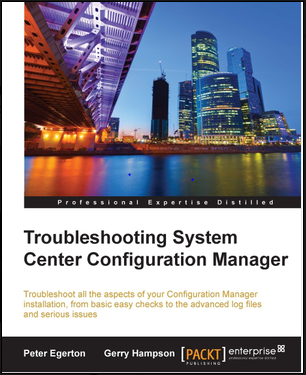 Can you describe the issue and the errors you receive. 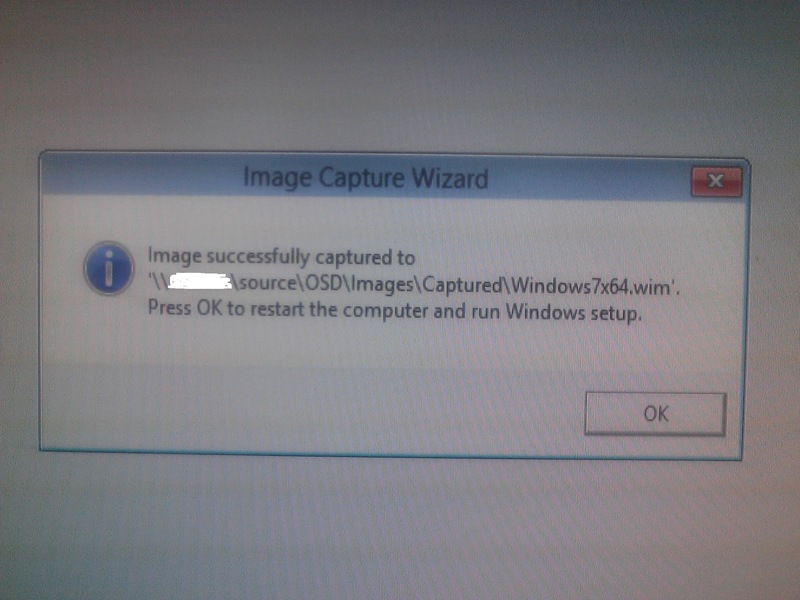 We have been trying to capture a windows 10 image from acer tab(acer switch 11 sw5 171 p 36vb) using SCCM capture media sequence(in USB) , capture task sequence fails after 0x80070714 error immediately when device boots in OOBE. 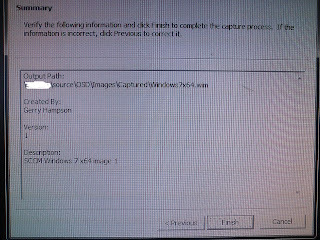 However the same capture sequence is working for capturing a win7 laptop . Seems like the USB to Ethernet connector is unable to get IP in OOBE so is unable to save the image over network share. 1) simple USB to Ethernet connector will work for PXE booting over LAN, or is there any specific hardware I need to procure ? 2) Any windows 10 specific step that is needed to be performed, not much documentation is available right now over the internet. 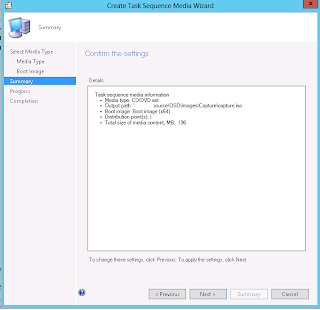 3) Is MDT required for OSD of win 10 with sccm 2012 R2 sp1? 5) do I need to put the USB to Ethernet connectors driver in boot image, currently it is detected as a USB device in BIOS not as an external NIC ? 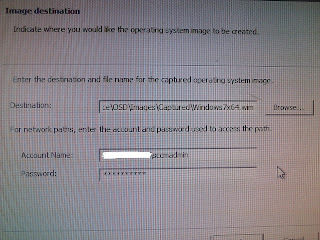 I did the capture of an image through a virtual machine, when capture and deployed to a workstation the local account i created while the builds were being done is still there and my work place want to have no local accounts unless it is the domain account. How can i remove that local account during the capture? Log in as local administrator and remove the other account and profile. Why do you think this is not the best approach ? 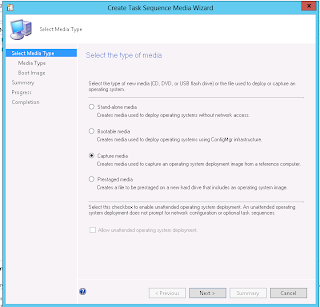 One reason is that it's not easy to capture a customized profile like you can do with MDT. Thanks Gerry. I too have that configuration. My Legacy NIC with External vSwitch works great and was full patched with internet access. When mounting the ISO and running the capture it's fine until the reboot. 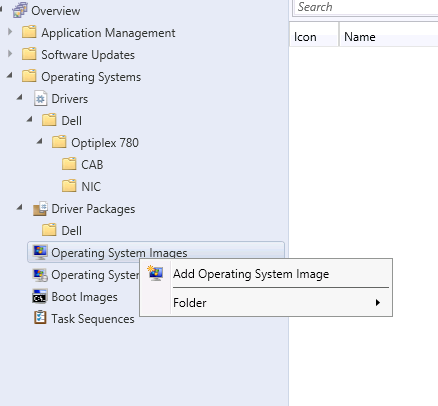 The boot image is missing some Hyper-V driver to begin the capture through theWin PE, Just don't know which one and why that's not already in there. 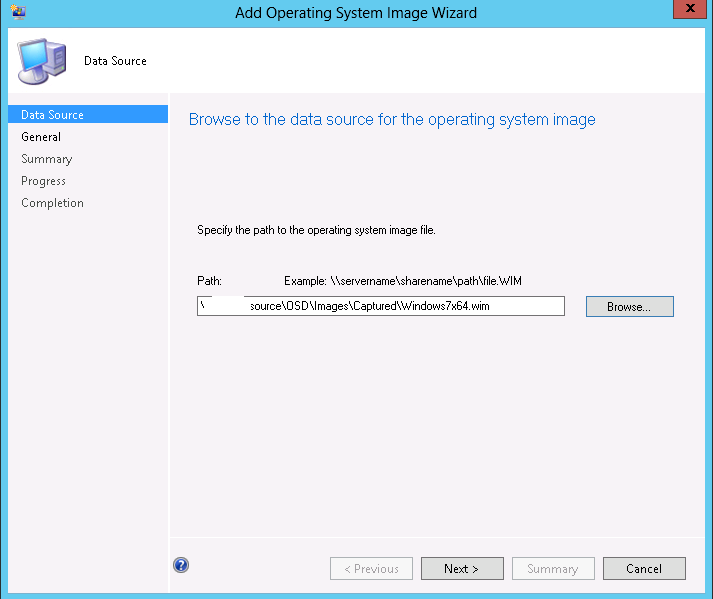 I never need additional drivers to capture a HyperV VM. That's why I use it. Issue has been resolved. 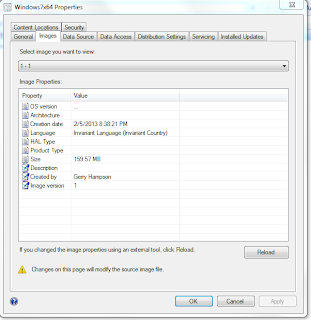 Image was failing in Hyper V with version 1602 ADK installed but after installing 1607 it worked fine. More Boot drivers are included with this version as well. Make sure that your version of Windows 10 boot image corresponds with ADK version installed. Thanks for the help an the post Gerry. 1610 was released Friday, great :(. Here we go again. No bother Steve. Glad to help. When i launch "tsmbautorun.exe" Nothing append. Why this Exe works only on mount iso ? I am new here and found this is really helpful. Can I ask one question: within the image captured, only one index 1-1, no 2-2 and 3-3 which caused problems when deploying. the source computer has 3 partitions. Why three partitions in the source computer? This just over-complicates the process. You only need to capture the partition that contains the OS. You can partition the target computer whatever way you like in the task sequence. 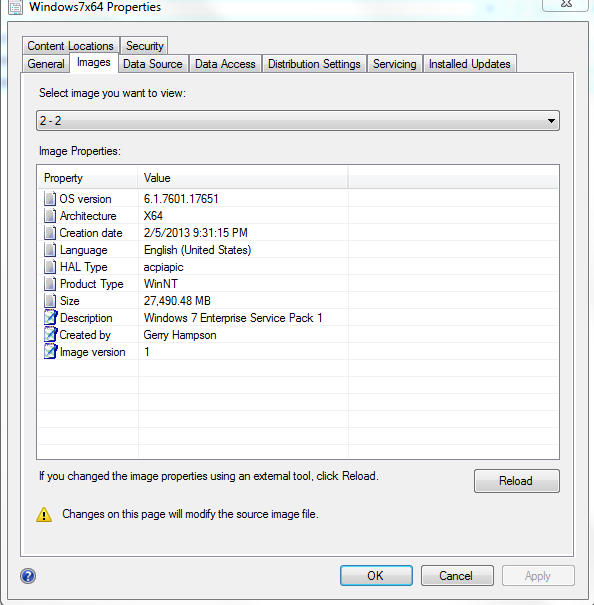 0x80070714 = The specified image file did not contain a resource section. That probably means that the disk cannot be accessed while in Windows PE. Are you using a physical device to capture the image? I would always use VMs and you don't encounter this type of issue. Open a command prompt in PE and launch diskpart. Can you see the disk? If not you'll probably need to import the mass storage drivers and add them to the boot image.